The second-person point-of-view makes use of the pronoun "you". It targets the reader directly, by referring to "you". You can find the second-person point-of-view in recipes, textbooks, advertisements or campaigns like this famous one. 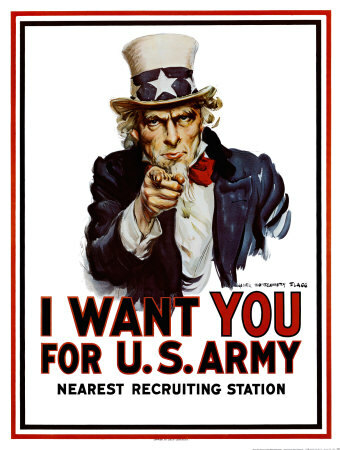 "Uncle Sam" was used to recruit soldiers for the War of 1812 in the United States of Amercia.